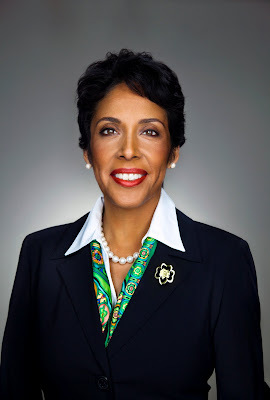 President Barack Obama Congratulates Anna Maria Chávez, CEO of the Girl Scouts of the USA, for Receiving Historic Award! President Barack Obama discusses the importance of Hispanic business for renewing the American economy and congratulates Anna Maria Chávez, CEO of the Girl Scouts of the USA, for receiving the 2012 Chairman's Award from the U.S. Hispanic Chamber of Commerce. Hispanic Business reports that The U.S. Hispanic Chamber of Commerce honored Anna Maria Chávez with its 2012 Chairman's Award at an event titled "A Celebration of Women Entrepreneurship in America" during the Chamber's Legislative Summit gala. The annual gala honors and recognizes the affect that Hispanic businesswomen have in America.